Can't decide what to get as a Wine of the Month Club™ gift? Not sure what type of wine your gift recipient would like? 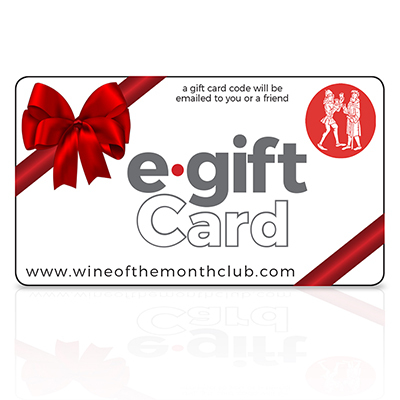 Our Wine of the Month Club™ gift certificate is the perfect gift for wine lovers. Let your gift recipient choose from our array of baskets, gift assortments or monthly clubs. The option is theirs and you can be assured that each item is hand-selected and delivered in pristine condition. This is a Virtual Gift Certificate. Gift Certificate codes are sent via email. No physical card is sent. Conveniently you can email or print out a gift notification with your Virtual Gift Certificate code here.